Duties & Liabilities Of Trustees. Rights & Powers Of Trustees. Rights & LIabilities of a Beneficiary. Excitation & Revocation of trusts. 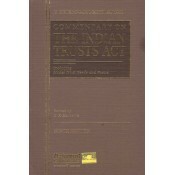 This is an exhaustive, analytical and critical commentary on Indian Trust Act, the book dealing w..